Safaris in South Africa offer a fantastically accessible way to see some great wildlife in a country that’s tourist-friendly and great value. South Africa is home to one of the most magnificent selection of wildlife on the planet, and offers all kinds of safari experiences. At over 1.2 million km sq, and five times the size of the UK, South Africa is bordered on three sides by ocean. Whilst much of the country is made up of the highveld – a 1500m plateau – South Africa has a very varied terrain, ranging from desert and dry shrub land to coastal swamps, woodland and savannah. Animals in many national parks in South Africa are comfortable with vehicles driving nearby, making spotting wildlife here easy for even a novice, and a great self-drive safari destination. Most parks are easily accessible in a 2WD hire car, which can keep the cost down as you won’t have to pay for a guide. With the money you save you could take one or two walking safaris, which is gives a different perspective on the bush and wildlife. These are offered by many of the larger national parks and well worth the money The big five animals are present in a number of national parks in South Africa, and if you’re an old safari hand Africa’s little five can also be found here. On the endangered list, South Africa is also home to the black rhino, wild dog, wattled crane and riverine rabbit. With over 550 national parks and nature reserves and a great infrastructure to get into and around them, South Africa has a very well developed tourist economy, with wildlife making up a large portion of it. 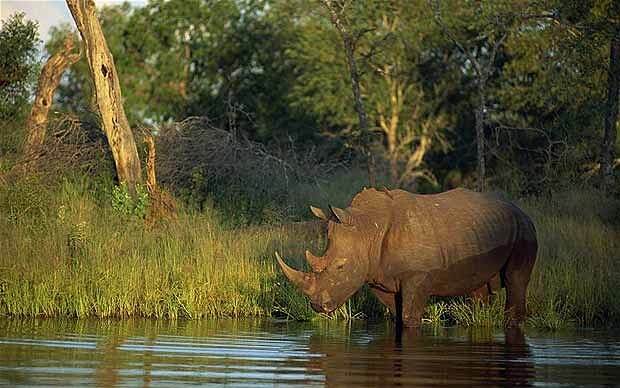 The tourist dollar derived from South Africa’s reasonably priced national park network is one of the main sources of revenue that goes back into local wildlife conservation efforts. And of course, South Africa offers so much more than just safaris. There are all manner of activities and destinations you can combine with a safari in South Africa – including more than 2,500 km of stunning coastline with some of the world’s most famous beaches, world-class wine estates, and mother-city, Cape Town. Drive yourself around the Kruger Park – one of Africa’s best national parks. Spot the big five – and far more – from the luxury of your own vehicle. Treat yourself to a stay at South Africa’s most exclusive private reserve, Sabi Sands. The reserve opens on to Kruger Park and is famed for it’s leopard population. Check out the Pilansberg National Park which is home to virtually every Southern African mammal – including the big five – and has over 200km of roads to explore on self-drive safaris. South Africa can comfortably be visited at any time of the year. June to September is the coolest, driest time of year, leading wildlife to congregate more around water sources. As vegetation is also less dense at this time of year it’s the best time to see the wildlife. If you’re visiting the highveld part of South Africa make sure you have a couple of layers – including a jacket or fleece – as the nights get nippy. From November to March is summertime, and brings with it drizzle, mist and some very hot weather in the lowveld to the east of the country. There are occasional huge thunderstorms and heavy downpours, which tend to pass over the course of a few hours. Wildlife viewing is still possibly when it’s not raining. One other thing to bear in mind when considering when to take a safari in South Africa is the school holiday schedule. Locals travel a lot around the Christmas and Easter periods, meaning accommodation can be full and national parks busy. Because the country is so tourist-friendly, these numbers are also bolstered by large numbers of arrivals from Europe and North America. If you can, try to avoid booking a safari in South Africa during school holiday season. South Africa is probably the best country in the world for safari accommodation. Whether you’re after pitching your own tent, finding a shared room in a hostel or enjoying a luxury safari suite with views over a watering hole they’ve got the lot. And everything in between. Whilst prices have risen over the past 10 or so years, accommodation in South Africa still tends to be reasonably priced. As with the popular safari destinations in East Africa, there are plenty of companies offering safari tours of South Africa with all budgets catered for. Check out our reviews of safari tour companies in South Africa. Have you been on safari in South Africa? We’d love to hear your thoughts or suggestions! Please get involved in the comments below.